I finished my Hand Pieced Quilt Along Ohio Star Block this past weekend! We had a beautiful afternoon with the Minneapolis Modern Quilt Guild and sat out in the sun and did hand work all afternoon. I got this done and then another couple of blocks done on my only ongoing hand quilting project. 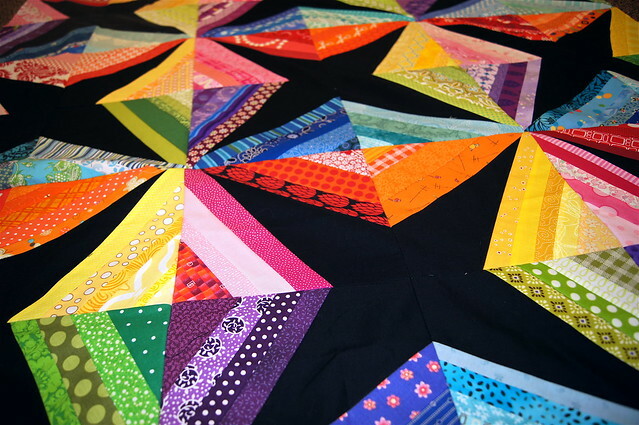 I realized the other day that I am getting close to finishing my only hand quilting project and that I should probably decide which of my tops/make a top that I want to spend hours upon hours with. It is really hard to decide which one, between what will look best, who it will go to, how big it is, etc. I really try to keep hand quilting to quilts that I am unbelieveably in love with or that are going to someone unbelieveably special. There's one I really want to do but it is string pieced and so the extra layers/seam allowances I feel will not be very conducive to hand quilting. Such a shame because it would be perfect on that quilt. I could do it but I would have to stick and stab the whole thing and it's between a queen and king size and by the end I think I will have hurt someone or myself out of anger in the process. I will look through my stack and see what I have and start prepping for the new Hand Quilting project. I love always having a hand quilting project in progress. It's so nice to do, mindless, simple, and gives such a great effect. 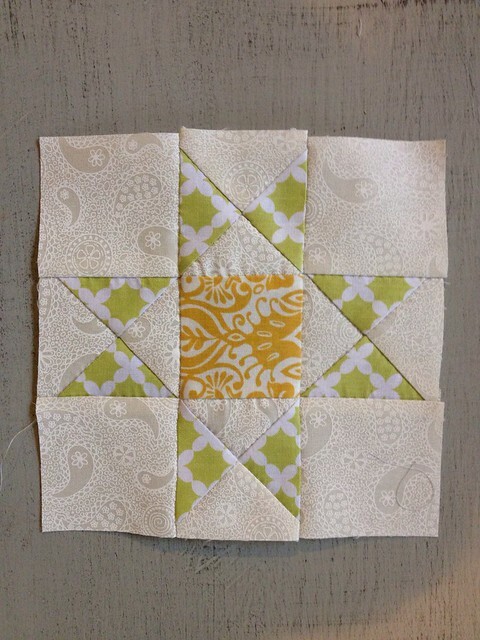 Anyways, I am going on a business trip this weekend and need to cut the next 2 blocks for the hand pieced quilt along. I feel that they would be perfect to work on during this trip. Hopefully I can find time today to do it! Updates when I get back! Thanks for visiting! I really like your Ohio Star block. What about hand quilting that string quilt in just the negative space?